I’m from a small town in Washington with a population of only about 2,000 people. Coming to Boise State was a big change for me. I grew up knowing everyone in my school and almost everyone in my hometown. I didn’t have to work to meet people. Then I found myself in a new place with 24,000 people that I didn’t know and had to figure out how to get out of my comfort zone and network. Getting involved on campus made all the difference for me. Boise State became my home away from home. To meet new people and build my network, I started joining different organizations on campus. I got involved with Dance Marathon, a student organization that hosts fundraisers for St. Luke’s Children’s Hospital every year. I’ve made a lot of friends and professional connections there. Most recently, I’ve been in charge of social media, marketing, and public relations for Dance Marathon. 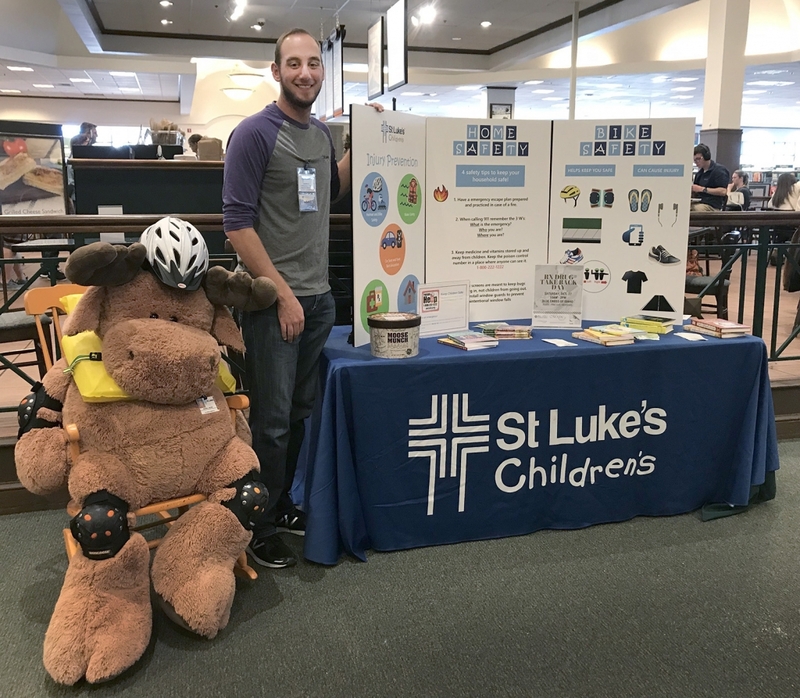 I even received an internship at St. Luke’s as a communication and event planning intern from one of the connections I made. I also became a supervisor at the Rec Center, and I’m involved in Boise State Young Life, a Christian student organization where I know I’ll always be able to find community. Whenever I come, I can count on having people there who care about my life. I also get to help lead Borah High’s Young Life. It’s like Boise State Young Life but for high school students. All of these experiences have helped me practice event planning, public speaking, and developing impactful relationships. One of the surprising benefits of being involved in different areas of campus is the number of people I get to interact with. I work with them and see them around campus and in other places, and it makes Boise State feel like my community. This has definitely built my confidence in networking and communicating. Now instead of doubting myself and my skills, I’m excited to meet students and professionals that I wouldn’t have otherwise had the opportunity to meet. I’ve learned how to build relationships and invest in meaningful conversations. I’ve realized who I am and what I’m passionate about, and that has helped me show other people why being involved is important – and why being passionate about something can help you build relationships. My college years have been memorable and worthwhile. I know everything I’ve learned will help me get a job once I graduate. My initial goal was to meet people and make friends, but through my experiences I’ve realized I want to spend my life helping other people.